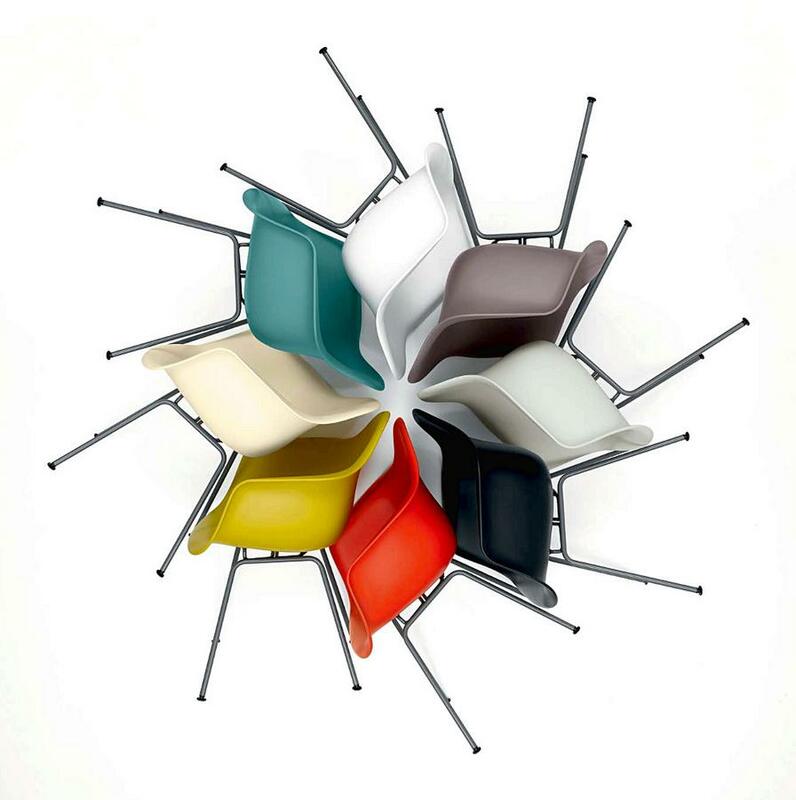 One design, many interpretations: The Vitra DAX combines the seat shell of the Eames armchair family with a classic four-legged base: just one realisation of the seating design concept developed by Charles and Ray Eames in the 1950s. 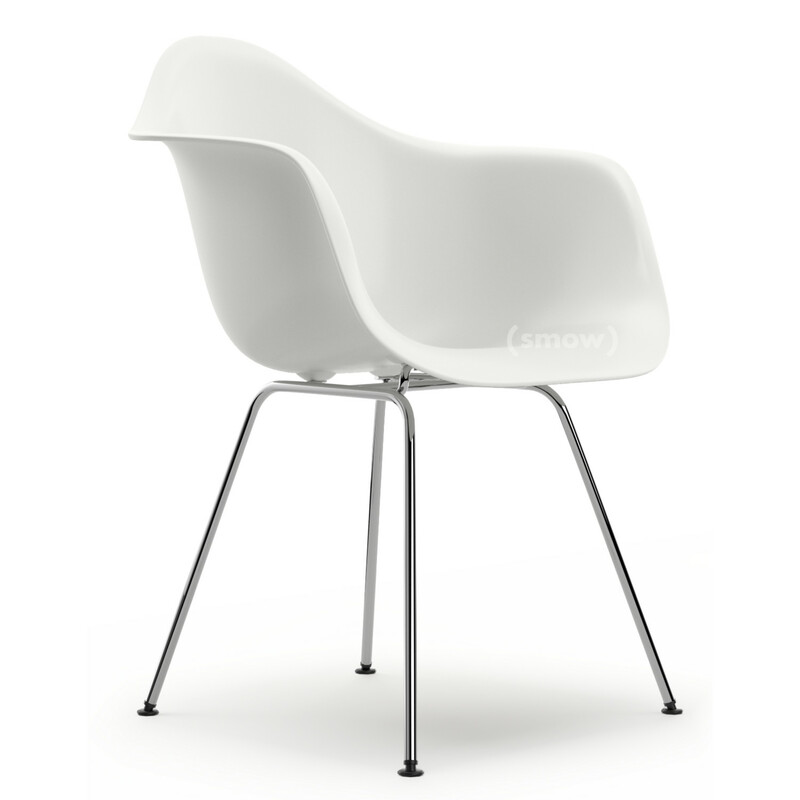 With its relatively simple appearance the DAX is the undisputed convenient all-rounder among the Eames plastic chairs. 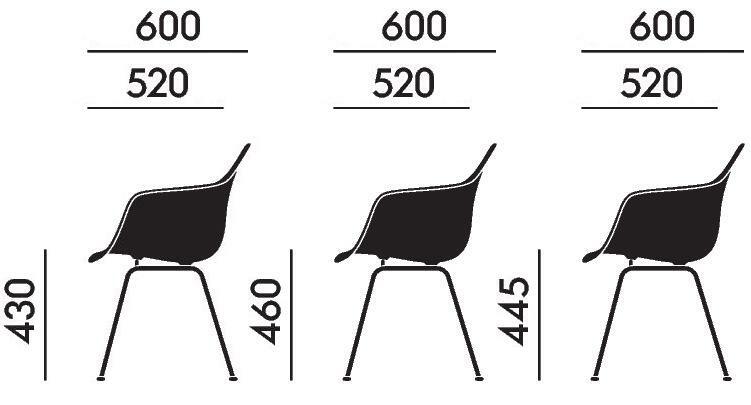 Progress being what it is, since Charles & Ray Eames created their plastic chairs in the 1950s, the average height of the average human has increased; consequently, Vitra have responded by adapting the design to meet the needs of contemporary customers and in cooperation with the Eames Office have increased the bases of chairs by 2 cm. 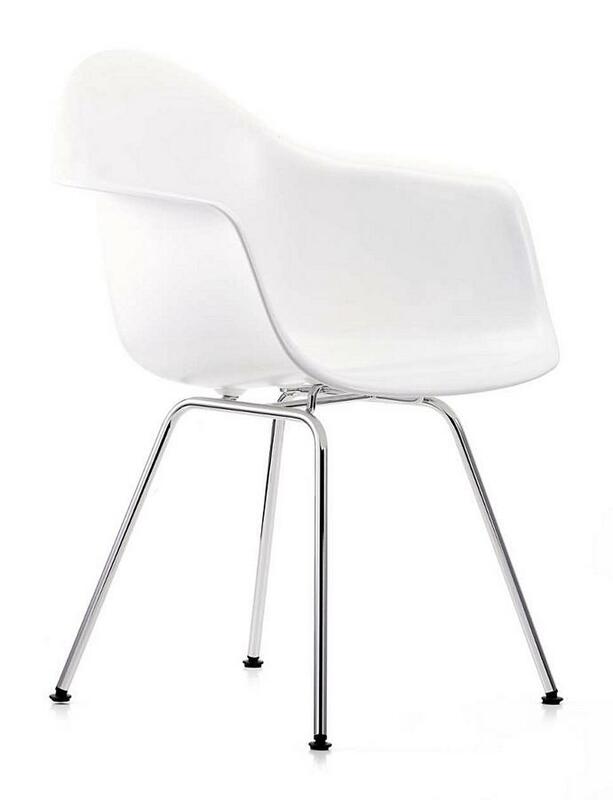 Please note: The chairs come as standard with black (felt) glides, White (felt) sliders can be ordered separately. 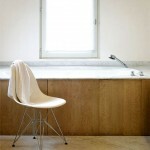 Care To clean the plastic surfaces a soft, damp cloth and a mild, neutral detergent is recommended. Dust and lint can be simply vacuumed. To treat stains a damp cloth and a mild, neutral detergent is recommended. 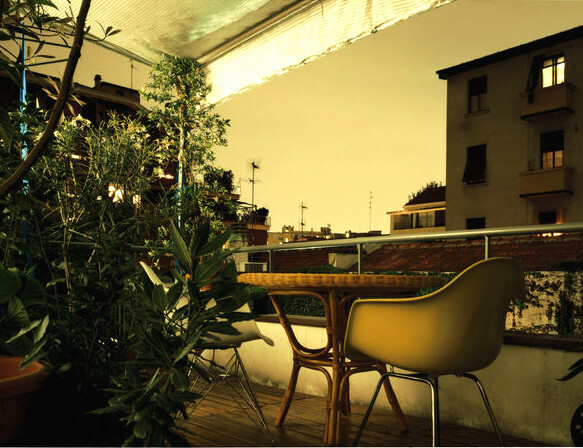 Professional cleaning should always be undertaken in an assembled state and with the use of upholstery foam or using a mobile washing extraction device. Datasheet Please click on the picture for detailed information (ca. 2,7 MB). 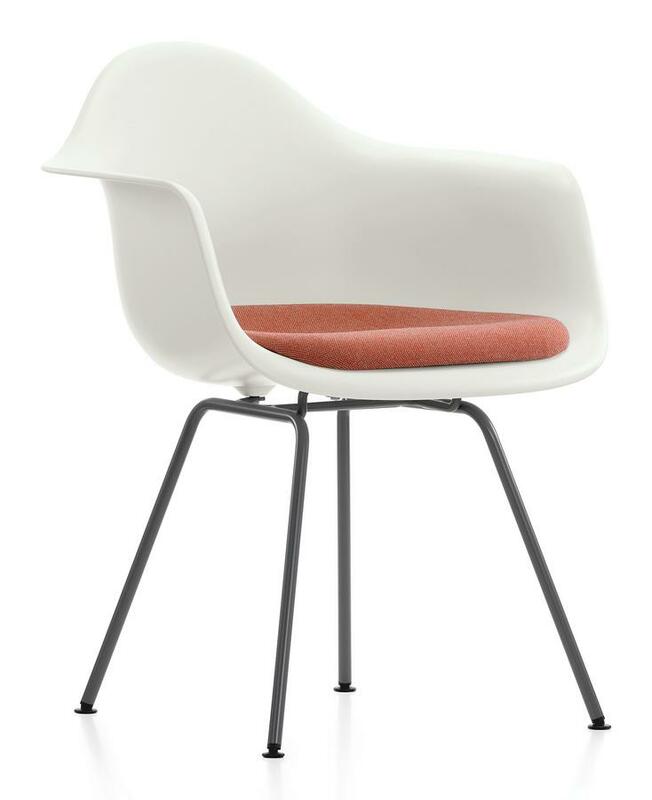 How much weight can a Vitra Eames DAX support? 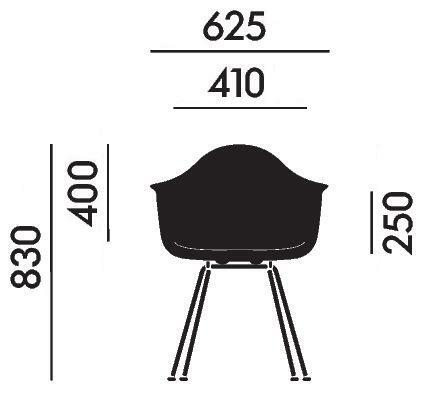 The Vitra Eames DAX meets the "GS" test standards and is tested up to 110kg. 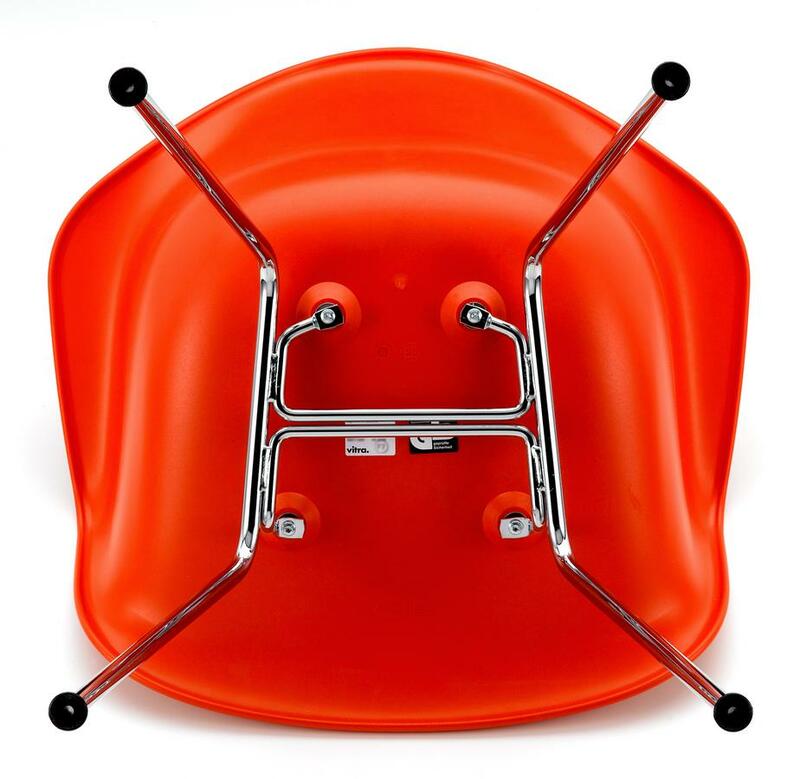 The way in which the chair is used is also important. 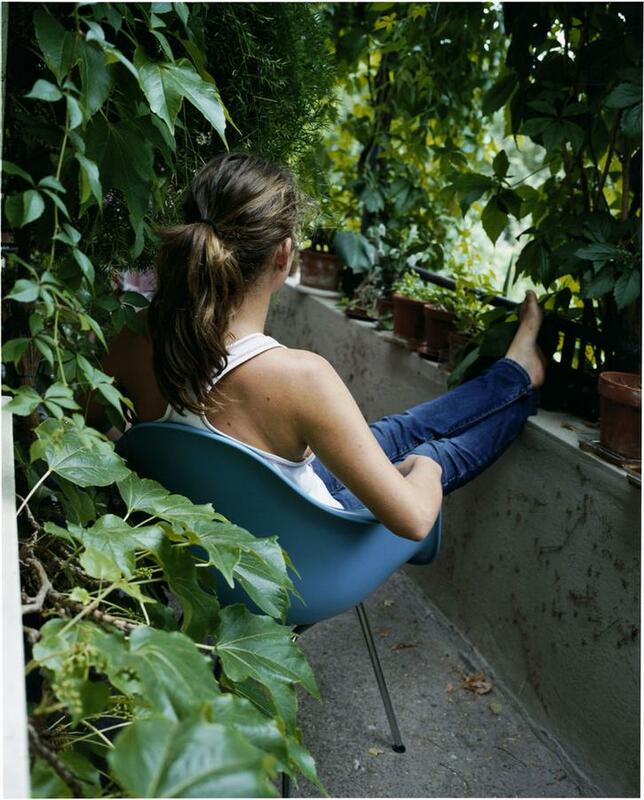 Swinging, for example, causes a higher strain which can reduce the chairs lifetime. 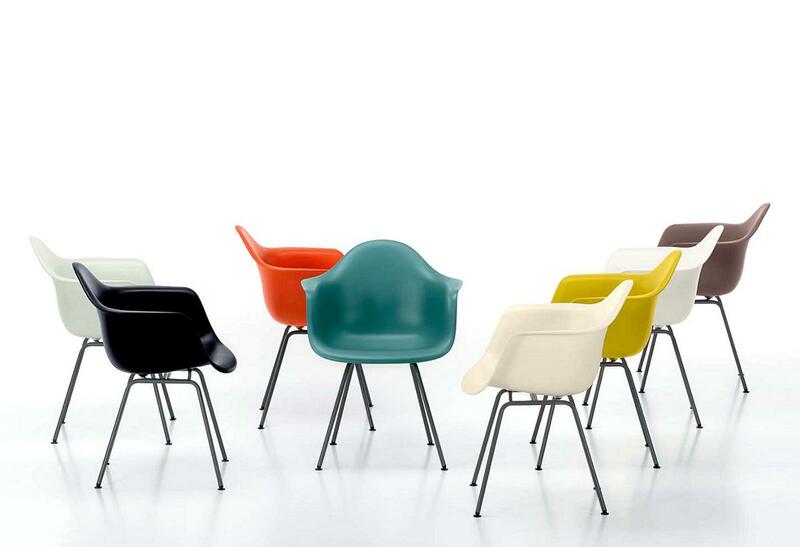 Can the Vitra Eames DAX be used outdoors? 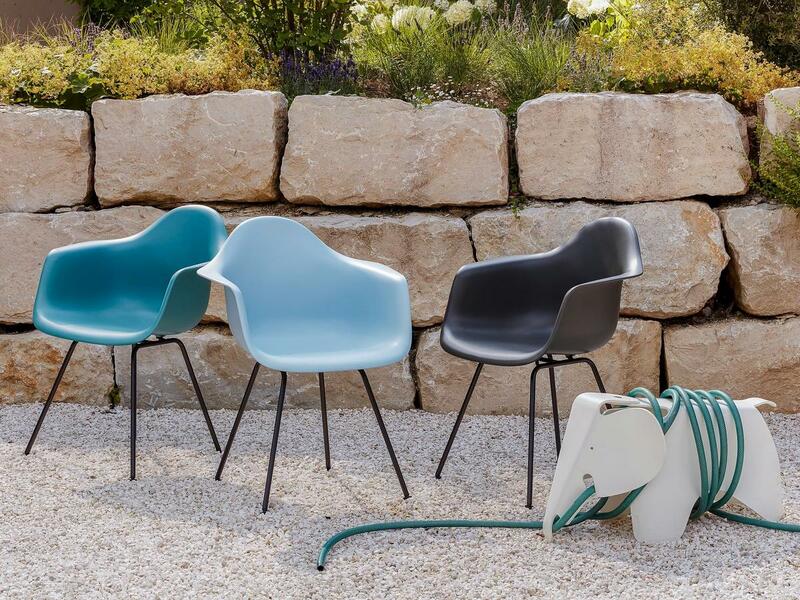 Only the Vitra Eames DSR with the powder coated base can be used outdoors; special additives in the polypropylene slowing down the fading process. 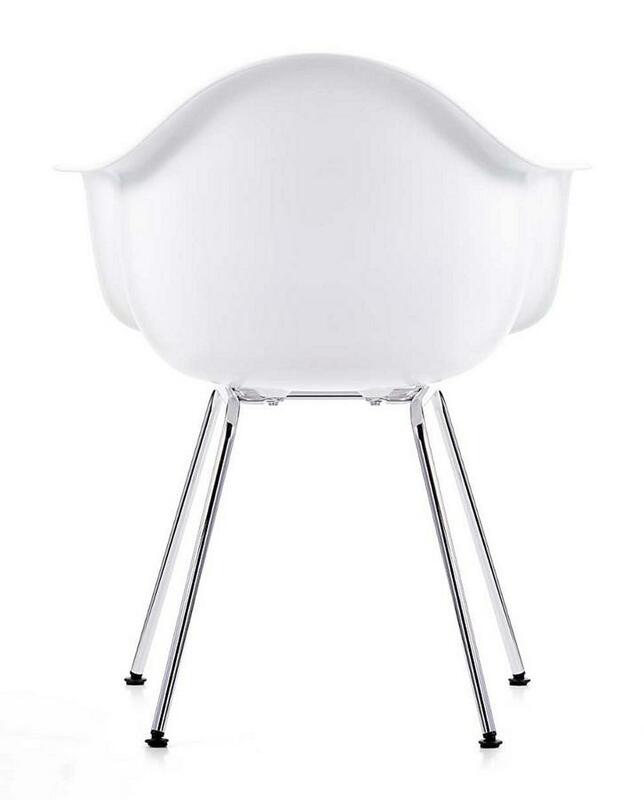 Despite that Vitra recommend not to leave the chairs in the sun for longer than necessary. Felt pads are not suitable for outdoor use, for outdoor use the plastic glides should always be used. 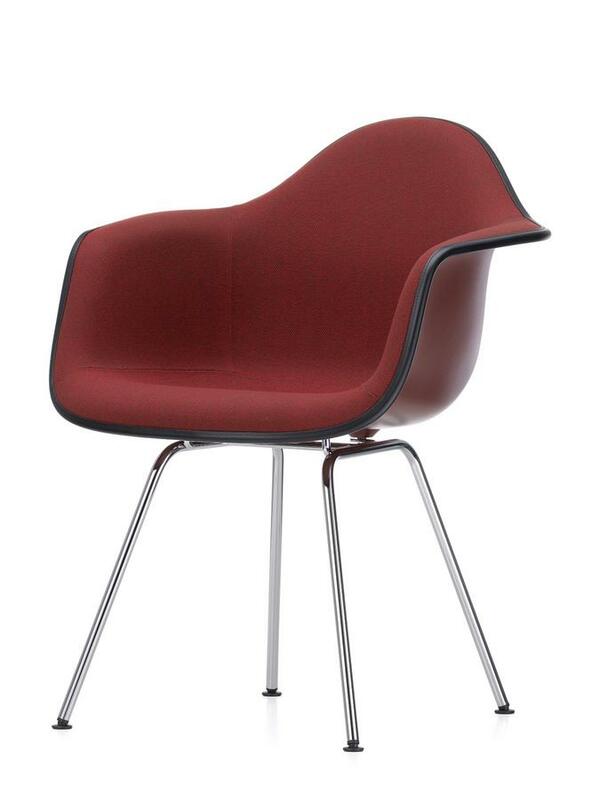 Upholstered versions are not suitable for outdoor use. 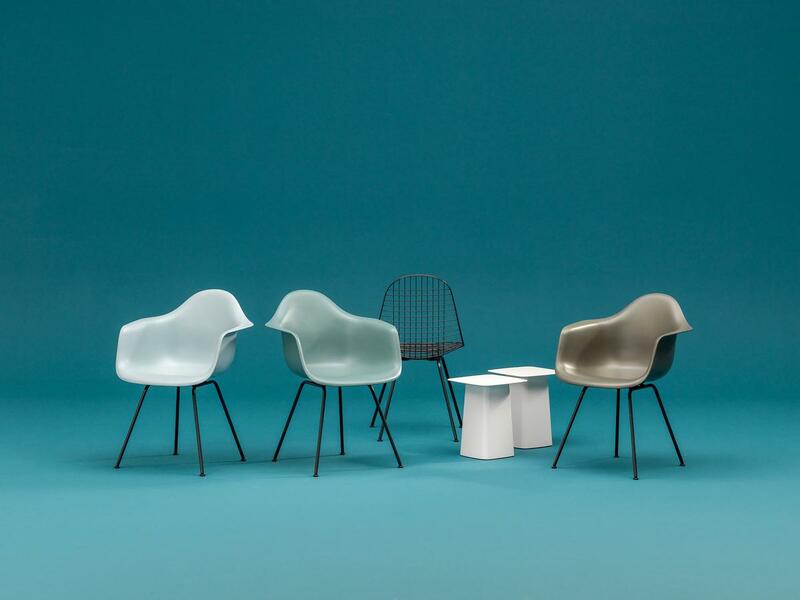 Vitra acquired in 1957 the exclusive license for the designs of Charles and Ray Eames in Europe and the Middle East: by which time the pair's fibreglass chairs were well on their way to becoming classics of 20th century furniture design. 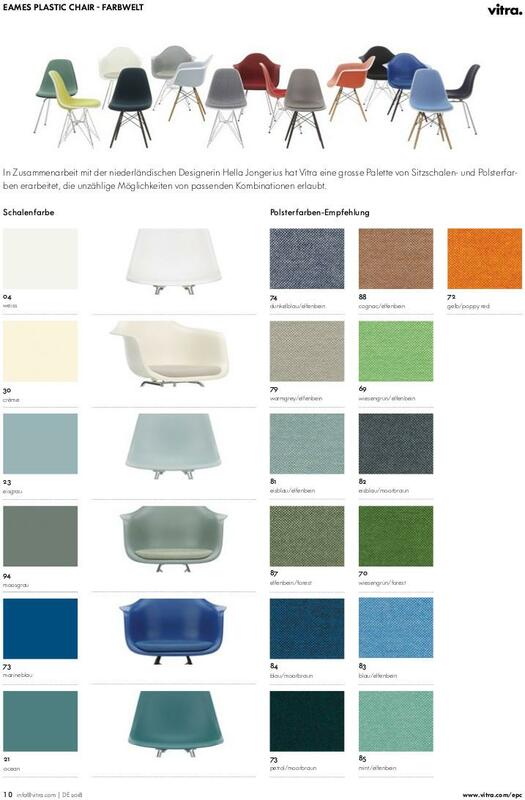 In 1992 both Herman Miller in the USA and Vitra in Europe switched from the use of fibreglass to polypropylene: Design and shape remained the same, however the burden on the environment through production and waste disposal was reduced considerably. 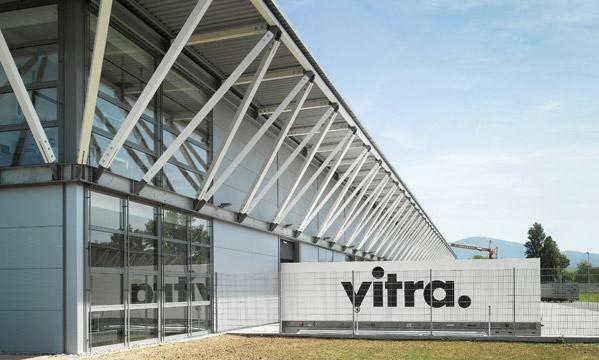 Today Vitra is one of the most influential furniture manufacturers in the world; the fruitful cooperation with the heirs of the Eames estate and numerous collaborations with young and established designers being the key to the company's success. 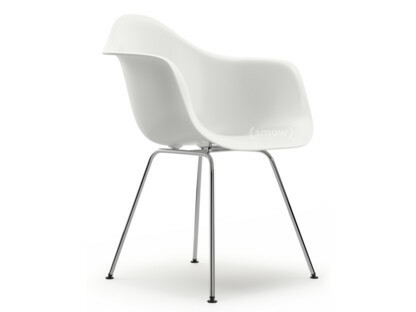 And beyond the Eames Classics Vitra generally places a great emphasis on high quality and recyclable materials; the longevity of the designer furniture is central to the sustainability philosophy. Vitra furniture are thus not only in terms of their appearance unrivalled classics, but thanks to their robust construction durable, long lasting and hard wearing classics. 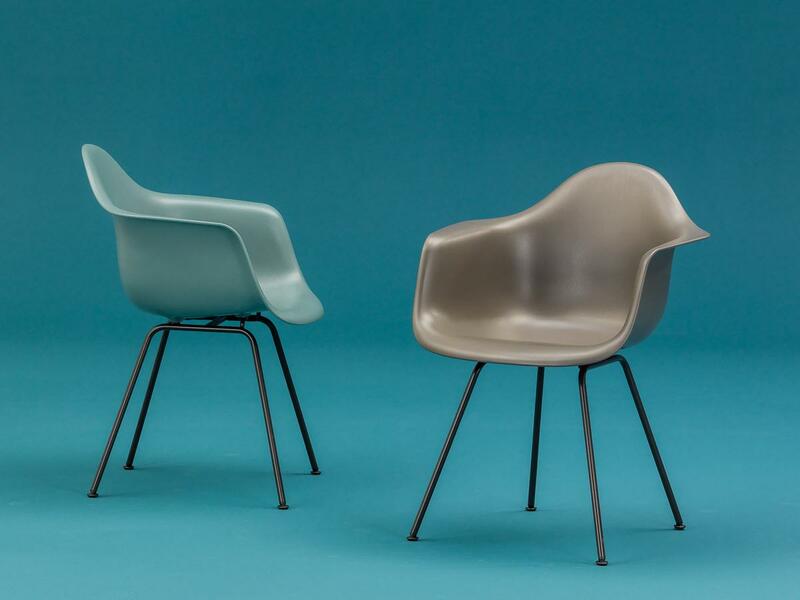 Looking for the perfect seat shell for their chairs Charles & Ray Eames experimented with varied materials, and after several designs with plywood and aluminium finally arrived at fibreglass. 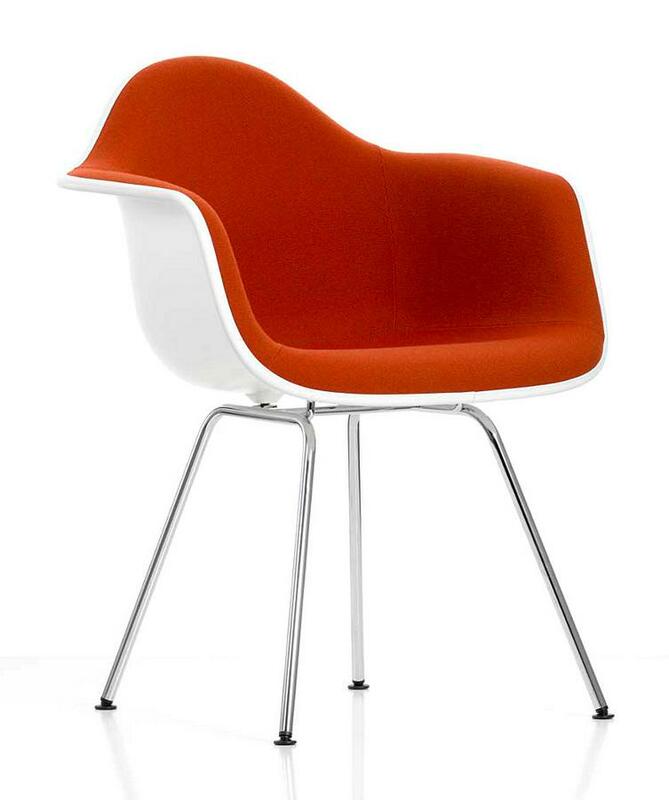 That was the early 1940s and it took until the end of the decade before production technology had achieved a state that allowed fibreglass chairs to be mass produced economically. 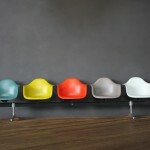 By 1950 the time had come and with the A-shell with armrests (Eames Plastic Armchair - e.g. 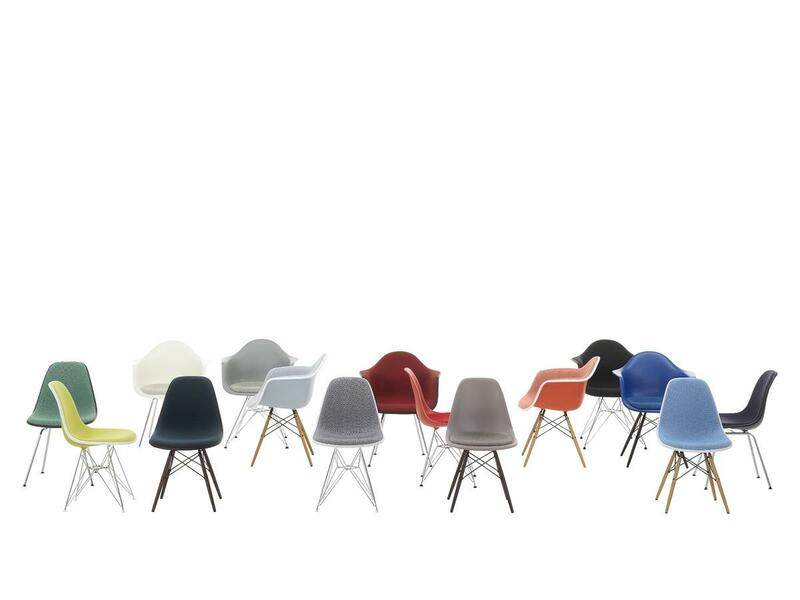 Eames DAX) and the S-shell without armrests (Eames Plastic Side Chairs) two revolutionary chair types are born, and made available on a range of differing bases including the Rod Base (four-legged frame with wire struts), the Wooden Base (wooden frame), Cast Base (Five Star frame made of die-cast aluminium with wheels) and the X-Base with its four-leg tubular steel frame and which supports the Vitra DAX: DAX standing for Dining Height Armchair X-Base. 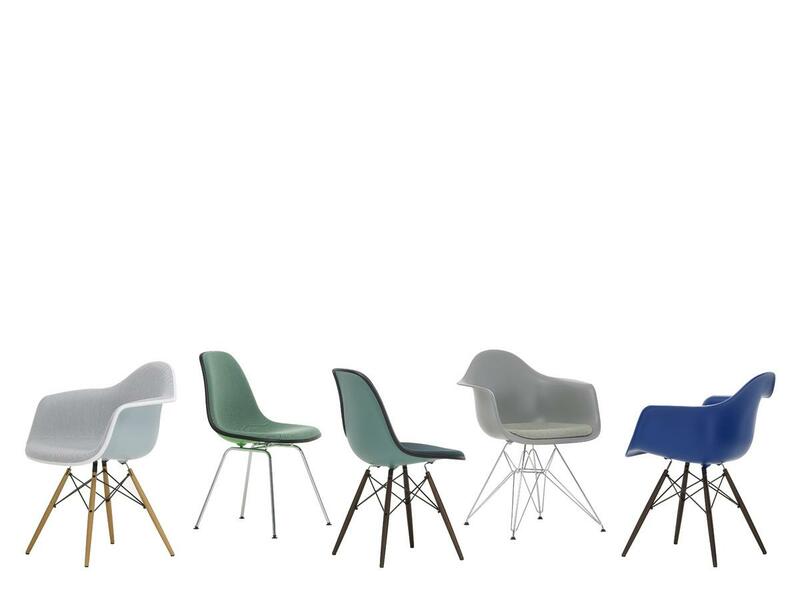 The ingenious concept of Plastic Chairs allowed Charles and Ray Eames to create with minimum effort a coherent collection which provides the perfect chair for any location every place and every occasion. 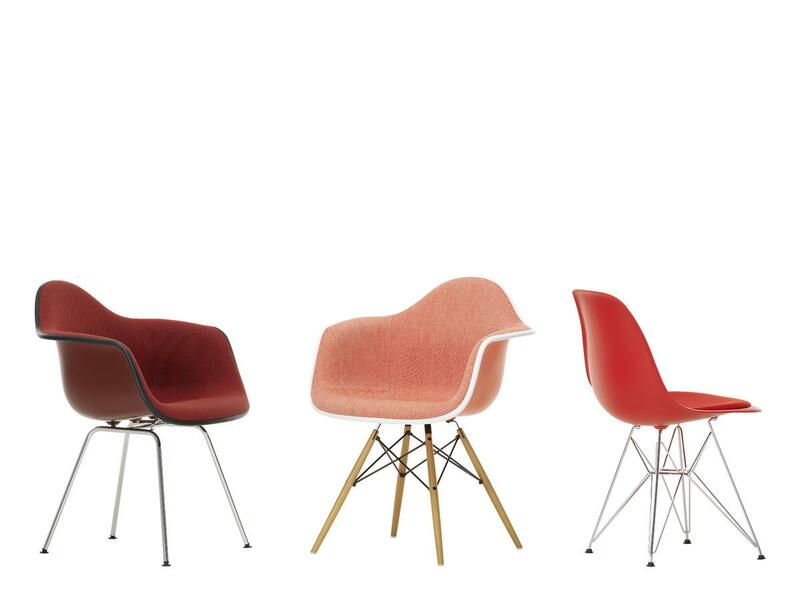 In 1955 the series was extended by the stackable DSS Chair and today also includes a rocking chair - the Eames RAR.